Siphephelo Brian Tshabalala is from the Free State. 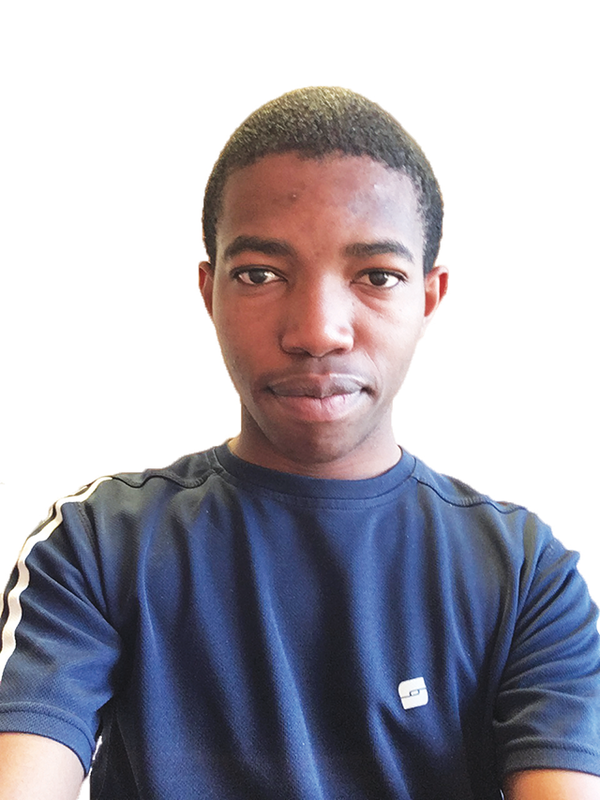 He is studying BEng tech in Civil engineering at the University of Johannesburg. You will not achieve anything without giving yourself time. Why do you think some youth (or people in general) have a problem with being able to do maths and science? What would you do about it? They don’t give themselves time to really learn. If I was the president, I would develop great math and science teachers for all schools by making the selection process higher to produce more quality teachers. What makes an achiever is the sacrifices one is willing to make to achieve goals. For a person to be an achiever, they must be 100% focused on their goals and constantly remind themselves why they want those goals so bad. I see myself having a considerable amount of experience to lead a certain project that will be beneficial to the society. I chose civil engineering because I like designing structures. Also, because it’s a field that makes the world what it is today – all the beautiful and iconic buildings in today’s world are because of civil engineers. Do everything as soon as possible, and apply to as many universities and bursaries as possible. For subject choice I think they should try to do research on whether the subjects are right for what they want to achieve. I’m inspired by a friend of mine, Selepe Refilwe, who is part of the 2018 brilliants. We are from the same school and she helped me so much with my academics. We are now doing different courses at tertiary institutions but she is still a person I look up to. I think learners in those grades should try to realise the value of education. Most think that it’s boring, tough and useless. Because of those thoughts they don’t enjoy the learning process. They should set small personal goals. For example, getting a certain grade in a subject and if they reach it, they should increase that standard. Over time goals can be forgotten, so they should write them somewhere as a reminder for themselves. I realised I love these subjects in Grade 10. It’s because we were taught by great teachers who sparked my interest. They showed us how what they were teaching could be applied in daily life. The reason I enjoy these subjects is because they are used to change the world in different fields of study, like engineering, actuarial science, astronomy etc. They are important to know so that human beings advance in our way of living. My competitive friends also played a role and, most importantly, my mother. She always believed in me even when I didn’t. My biggest challenge at school was public speaking. Because of this I didn’t perform great in presentations whether it was in my language subjects or any other subjects. To overcome this, I pushed myself to volunteer to explain something in front of the whole grade regularly. It helped because I’m way better now. I haven’t completely overcome it and it’s still a work in progress. Were there any specific science or maths opportunities at school? There was an afterschool programme, Kutlwanong, to boost our knowledge in maths and science. It had a competition where the best-performing learners would win a trip to Cape Town for a few days. Fortunately, I was one of those learners. It was my first time going there and being on a plane. It also gave me an opportunity to meet other learners from different provinces since the programme is national.